What kind of transitions can you create with only one property? 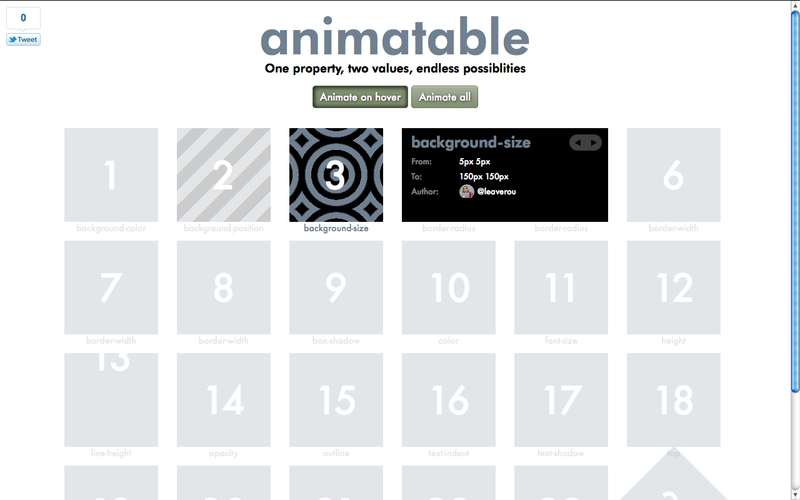 This is what my new experiment, animatable aims to explore. It’s essentially a gallery of basic transitions. It aims to show how different animatable properties look when they transition and to broaden our horizons about which properties can be animated. Hover over the demos to see the animation in action, or click “Animate All” to see all of them (warning: might induce nausea, headache and seizures 😛 ). You can also click on it to see more details and get a permalink. Instead of clicking, you can also navigate with the arrow keys and press Esc to return to the main listing. Fork it on Github and add your own ideas. Be sure to add your twitter username to them as a data-author attribute! I’ve only tested in Firefox and Chrome for OSX so far. Not sure which other browsers are supported. 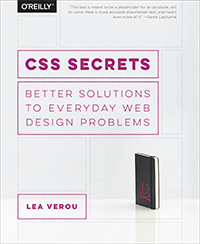 However, since it uses CSS animations, we know for sure that it won’t work in browsers that don’t support CSS animations. 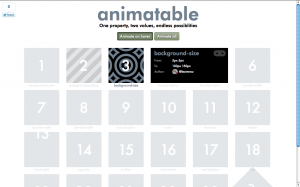 This entry was posted in Apps & scripts, Original and tagged CSS3, CSS3 animations, CSS3 transitions. Bookmark the permalink.